I was asked by my service buddies to analyze the Obama visit to the Middle East this coming week. I am in Jerusalem now reviewing my analysis so I thought I would share it with you all. What are the two leaders Obama and Netanyahu going to talk about? We all know they don't like each other. That said, the US knows very well that Israel is the last stable and real friend the US has in the Middle East. Is the $250M the US gave Egypt and fighter airplanes going to bare any fruits? Are the Egyptians going to like the US more because of that? I don't think so. 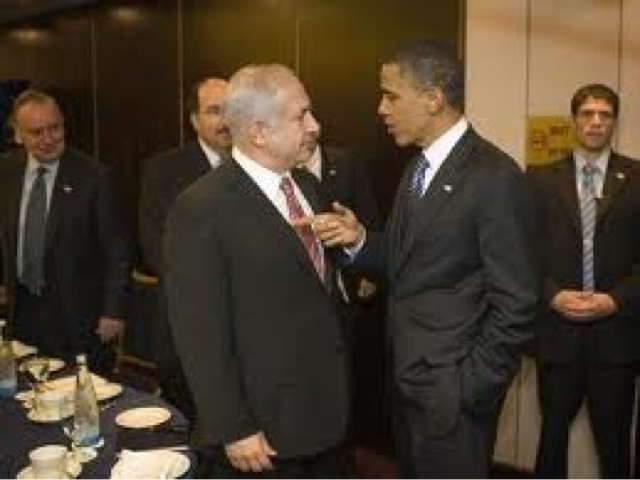 That's is why Obama, whether he likes Bibi or not should talk to him with an open mind. Israel is going to ask Obama a simple question; what is the US doing to promise the future existence of Israel? When the US is trying to "Negotiate" a deal with Iran and that country has only used these negotiations to reach a more advanced position in its military nuclear program ( Iran already has 8 tons of enriched Uranium and since the negotiations started they increased their amount of centrifuges to 12,0000), what can the US say to Israel to clam them down and promise them future security? Nothing at all. Israelis are under more danger than they've ever been and this visit is not going to make that better, it's just another part of the Obama campaign. Wake up Obama, you were elected already. Make a difference in your country and in the world. Negotiating with the devil is the wrong thing to do!! !